The luster and the unusual sheen of the sunflares can easily make you a fan of shooting in the sun with the lens flare effect. And your portfolio is pretty much incomplete if you haven’t used this “unusual” effect. Even though lens flare is a flaw, professional portrait photographers employ it creatively to sometimes add glamorous touch and other times to add romanticism and cinematic feel to the photograph. The wedding photographers use this technique to add “summery” and warm & playful appeal to the images shot as the part of engagement and wedding sessions. If you are also interested in re-creating magic with lens flare, equip yourself with a little bit of science behind the lens flare and a few handy tips. Let’s check ’em here. Nothing scary here! Just the formal knowledge on how the lens flare (which is actually a flaw) is rendered to the images while taking a photograph. The lens flare is formed when the sun’s light or the light from any bright source strikes the camera lens at the top edge. When the light enters the lens in such a fashion, the light rays internally reflect on the lens element a number of times before finally reaching the sensor. This reflected light reduces the sharpness in the image giving it a hazy blanketing effect known as the lens flare. With a little practice this technique can work wonders for portrait photographs — good over-exposure, unique vintage look and soft dreamy effect. Chances are few, but someone having a bad day with everything malfunctioning around him for no reason may well end up with a burned sensor (or one less eye) if he manages just the right settings for it. Make sure you don’t focus on the sun. Do not look/shoot at the sun through the viewfinder and certainly not long enough or at slower shutter-speeds. The right thing is to have the sun out of the frame, behind the subject or peeping in partially through the corner. This beautiful effect manifests itself when the sun’s light or any other bright source of light is behind the subject. The back-lighting projected in the camera brightens the scene and beautifully wraps the subject in the over-exposure bliss. You can shoot directly against the sun, that is, just after sunrise or late afternoon before the sunset when sun can be naturally placed behind the subject. However at other times of the day you will have to lie down on the ground to position the sunlight behind the subject. An easy workaround though is to employ the window light magic. Exposing for a back-lit subject can be tricky for the camera. The camera’s meter gets bluffed by the brightness in the background and ends up under-exposing the subject. Switch to the manual mode and expose for the subject. You can use a hand-held light meter (and take the incident reading of the light falling on the subject) or judge the exposure by camera’s histogram and highlight indicator, you can also use spot-metering. Make sure that you expose for the subject (this will keep the background over-exposed). This is what renders a dreamy effect to the image. Use bracketing just to be safe. Different lenses produce the flare differently. 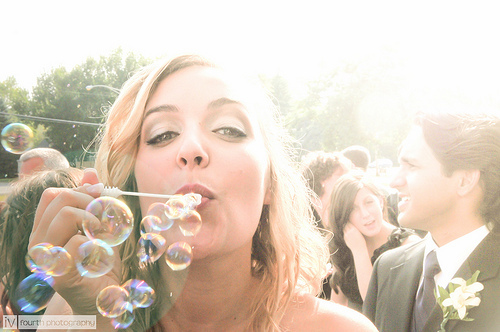 Try photographing the lens flare with the various lenses in your kit. Carry the one which best creates the lens flare for the special occasions when you want to add romanticism to your images. The 50 mm prime lens does the job well, whereas you may find it difficult to get good lens flare with high quality lenses (lens manufacturers as such look upon lens flare as a flaw and try to minimize it by employing high quality optics). Focusing: The camera’s auto-focus gets tricked with the bright source of light behind the subject and thus end up focusing on the light source . If that is the case, you can either set the focus manually or try out this neat trick: Block the sun’s light with your hand, compose the shot & lock the focus. Then remove your hand, recompose the shot and shoot with the sun’s light entering the lens. Aperture Settings: You can either go fully manual or turn on the aperture priority mode (when shooting indoors against window light) for this kind of shots. Whatever the case may be setting the appropriate aperture value will help you in getting the desired effect. A pro tip here: A smaller f-number will get a wider lens flare with more of a washed out look and less of the pronounced polygonal shapes whereas narrow aperture will result in light streaks and sun-star effect. You can preview the appearance and the position of the lens flare & the light streaks with the help of DOF preview button. When you depress the DOF preview button, you can visualize how the lens flare appears at various aperture settings (wider at lower f-numbers and sun-bursts at narrow apertures). Though you will not be able to preview how washed out the final image will be as the final effect depends on the duration of exposure as well. When shooting against the light, you are running a high risk of getting very washed out images. The over-exposure kills the details. The best way thereof is to shoot in RAW which allows you to recover the details (to some extent; highlight recovery is almost impossible with DSLRs) and have finer control over giving the final shape to the image. If you have practiced it right, you can get good sunflares in-camera. However, don’t be disheartened if you are not able to make it in camera. Shoot during the magic hours to get the lighting right and you can rely on a number of Photoshop actions and Lightroom presets to do the magic for you. 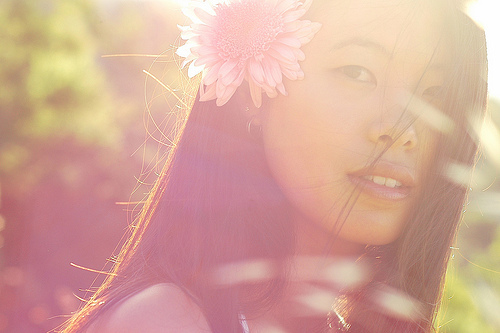 You can try Matt’s Sunflare Presets for instance. 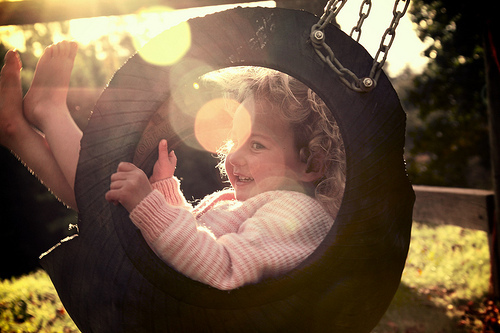 The ready to use sun-flare presets and actions are good at adding the gracious effect to your images. And now it’s time to check out beautifully captured portrait shots with sunflares & dreamy cinematic feel.